This week’s POW (Problem Of the Week) is all about “Frites & Cassoulet”(V9), found on the Olympus Boulder in GHSP’s Picnic Area. If you have never been to the Olympus Boulder, this is a massive, steeply overhung monstrosity of a block located less than a minutes walk from your vehicle. Surrounding this boulder are two other easily accessible boulders loaded with wonderful problems, an indoor restroom, vending machines, a playground, and a nearby amphitheater where bluegrass shows can be found periodically during the summer and fall. Oh yeah, and there are outdoor charcoal pits and picnic tables next to this boulder as well, just in case you work up a hunger and brought along a picnic. 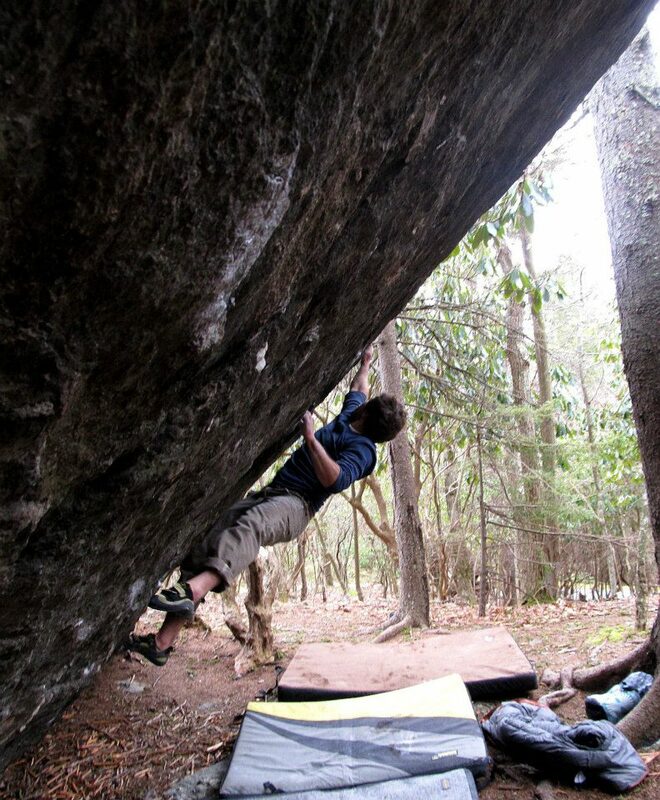 Enough about the bouldering amenities for now though, lets get back to business with “Frites & Cassoulet”(V9). This climb is tough for sure, although probably on the lighter side of V9s in GHSP (my kinda V9!). 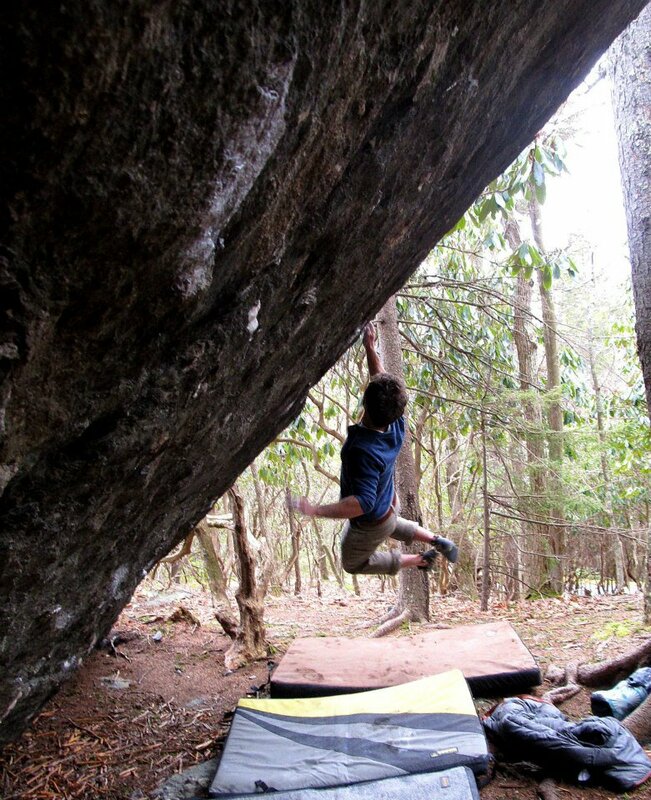 Off the bat is a tough pull off of steep, low credit card edges, sharing the same start and second move of “Fulgora”(V8). From the wicked thin crimps follows another thin crimp leading to a delicate deadpoint to a shoulder wrenching, smooth, gaston slot/crack. Once established, the problem immediately trends right through a horizontal rail and then a triangular pinch/crimp. The footwork though these moves is my favorite part of the problem. Tricky dropknees and an intense level of core tension will keep you locked into the sequence. 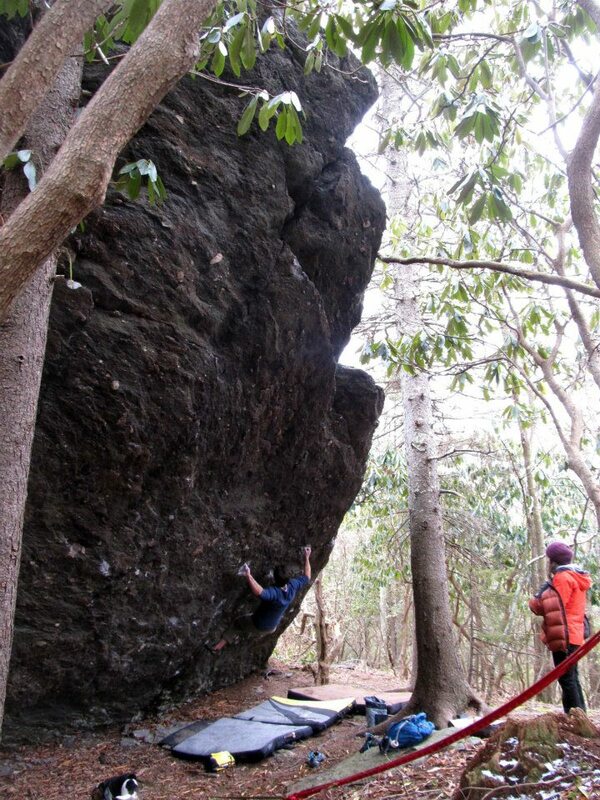 Once established on the pinch, the last crux is a big move to a nice “brick-like” jug. Hang onto the brick and top out over the lip. So why name a climb “Frites & Cassoulet”? 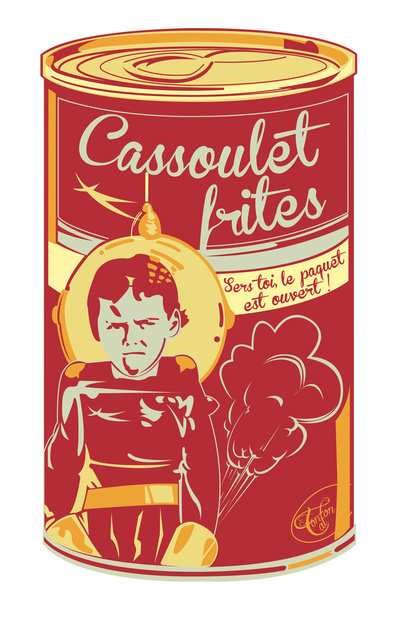 What the hell does “Frites & Cassoulet” mean anyway? The short background is that this problem used to be a V7 called “Athena” and was FAd by Shane Messer maybe 6 years ago (circa 2008/9). The start to this problem used to be a nice jug which likewise served as a critical foot throughout the line. 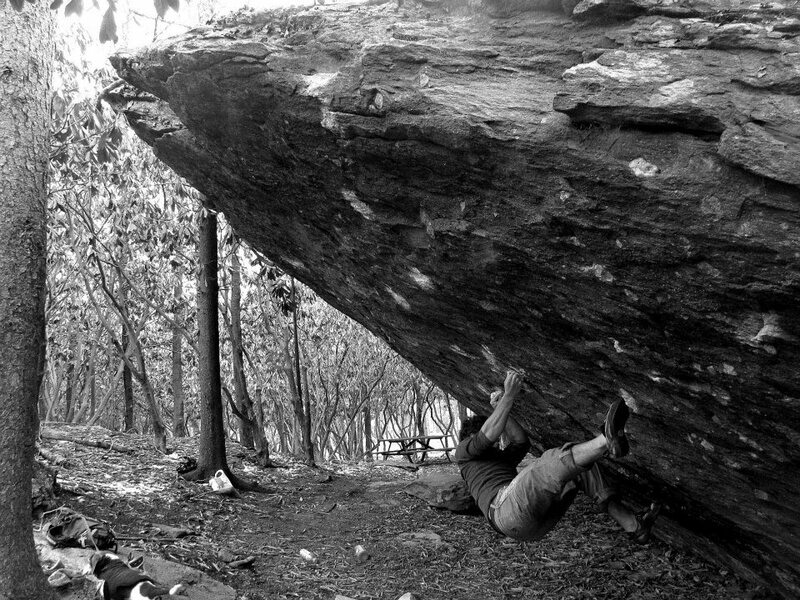 My friend Steve Lovelace was working the problem and the start hold exploded off of the boulder, leaving behind nothing to work with. 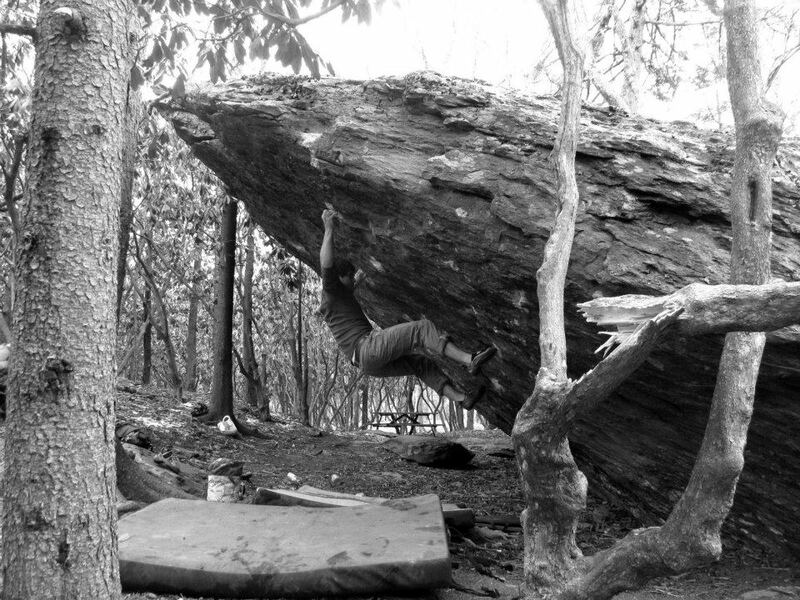 A few years later I had repeated “Fulgora”(V8) from the same start, but had not worked the line that was once “Athena”. My friends Esten and Art came down to visit two summers ago, bringing with them a strong Frenchman named Pierre. Whether or not “Frites & Cassoulet” is a culinary religious experience for you, I have no doubt you can find a path to enlightenment on one of the awesome boulders in the Picnic Area. Man, I need to get back out there. Hopefully over Memorial Day if the weather cooperates. I’ve keep moving my camping reservation for the past 2 years (I think) since weather hasn’t cooperated that last several times we planned to head down. Yeah man! Get back down here this summer sometime (May-early August) and I’ll be living in the cabin again. Hope you all make it down! The Back of Beyond is an amazing new GHSP area I would be psyched to show you all too!